Extra! Extra! We Have Some Awesome News to Share!! Ana and I have a big announcement to make today: SpanglishBaby will soon be a book! We’re writing un libro! 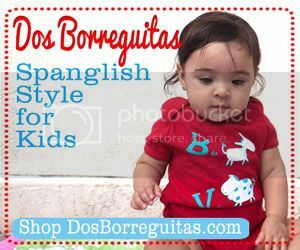 A couple of months ago, we were approached by Bilingual Readers – a bilingual publishing house based in Spain which we highly respect and whose bilingual children’s books we’ve reviewed in the past – to see if we’d be interested in taking SpanglishBaby to yet another level by publishing a book about raising bilingual and bicultural children in the United States today. Our response was a resounding: ¡claro que sí! SpanglishBaby turns 2 1/2 years old tomorrow – yes, we published our first post Feb. 9, 2009 and you can click here to read it), but it feels like we’ve been at it for much longer. Maybe it’s all the hours and hours of work we’ve put into it or the amazingly supportive community we’ve become. And, although Ana and I had talked about the possibility of one day turning the blog into a book, we didn’t think the opportunity would arise only two years after we launched. It´s set to be published on Fall 2012 and we are set to deliver! 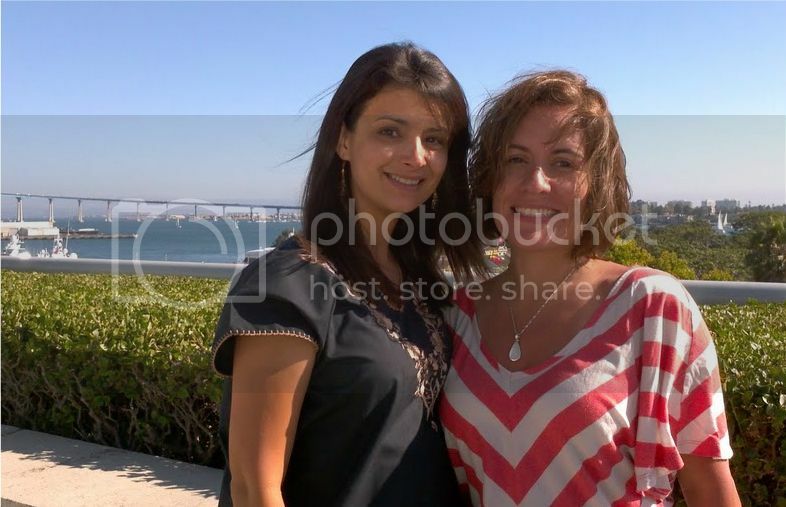 Ana and I got to spend the last few days together in San Diego. A rarity we fully took advantage of by talking not only about the future of SpanglishBaby but with an incredibly productive breakfast meeting to organize ourselves as we venture into the exciting realm of writing our first book. We were able to figure out a lot of things, but other things are still pending. So, as we jump into this new adventure, we hope you won’t mind that, along the way, we may ask for your opinion on certain topics. We’d like for this book to be an extension of the blog and we know that without your input, it would make no sense. If you have any particular ideas about what you’d like to see in the book or just questions you think need to be answered to make this bilingual and bicultural journey a bit easier or more realistic, you know how to reach us! Raising bilingual and bicultural children is not something we only write passionately about, but also something we believe in wholeheartedly. This book represents another vehicle through which we can continue to spread the value and need behind raising our children so they can survive in this global society without forgetting sus raíces. Nothing could make us happier! We surely hope you feel the same way! UPDATE: The book, Bilingual is Better, is now available for pre-order on Amazon and Barnes and Noble! Did You Know Asthma is An Epidemic Among Latino Kids? “Bilingual is Better” Now Available For Pre-Order! Ask, Share, Explore at the New SpanglishBaby Forums! Congratulations!! This is the best news I’ve read this week. 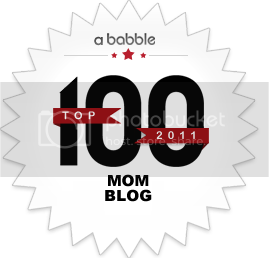 You have worked hard to make Spanglishbaby a great resource and it’s paying off. Congratulations, you girls are inspirational…….. This is soooo exciting! YAY! I cant wait to read it!!! Amazing news. Congratulations!! I’m so happy for you two and Spanglishbaby. Btw, love the photo – you girls came out so pretty. Woo Hoo!!! Congratulations on this excellent, fabulous announcement! I’ll be the first in line waiting to buy the book, and spread the word. SO, so happy for both of you and the families that will benefit from it!! So happy for and proud of you both. This is so well deserved and Bilingual Readers was smart to offer a book deal. Can’t wait to read it! I am so happy and excited about your news! That is going to be a wonderful, wonderful book! So very excited for you both!! This is great news! Congratulations to you both! MIL FELICIDADES Roxana y Ana!!! May it be a greater success than you envision now and may it touch many lives as your blog has done so far! Que cool! Congrats amigas!! And BTW, I love your picture. It reminds me that I wanetd to take a picture of your too, a good one, not at night Besos! Wow! Congratulations!!! I’ll be buying a copy! Congratulations, Ana & Roxana! It’s so great to hear success stories like this. Your book is going to rock! Seguramente tendrà mucho aceptaciòn y èxito. Felicidades! I am so happy for both of you and your success every step of the way! Thanks for your awesome support and your kind words! They mean the world to us! We promise to keep you updated as the writing/editing process gets underway! ¡Gracias por su apoyo y sus lindas palabras! ¡Significan mucho para nosotros! !Prometemos mantenerlos al tanto de nuestro progreso! Felicidades! Y que sigan los exitos! As Roxana said, thank you, thank you!! We are very excited and it makes it even better to have your support. Please do send us any topics you think we should cover. We want to make this about you. Congratulations to the both of you! What a treat and a treasure that will mark history for future generations. Just goes to show you that doing what you love, plus hard work and sacrifice always has its rewards! Can’t wait to see the finished product. Felicidades! I am beyond thrilled for you both. I know this book is going to be amazing! Felicidades! Congratulations! Can’t wait to buy my copy!! Congratulations! Wonderful news and I’m sure the book will be a fantastic resource. Can’t wait to see it! Wow chicas! I am so happy for you both. You inspire me to ‘just do it’ and make things happen. This news made my day and confirmed the sky is the limit for all of us. Keep chasing your dreams. Best of luck with it all. I look forward to seeing your printed hard work. Congratulations ladies. Wonderful to see the return on the hard work and effort that you’ve poured into the lives of so many others. That is so wonderful! Congratulations! What fantastic news! I know how hard you both work and so happy to see it all paying off. You are both extremely encouraging to me and I’m sure many others. Now go continue to pave the way amigas! 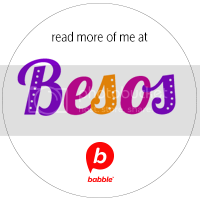 Love, love, love your passion for raising bilingual children! Love, love, love that you will now share with even more families soon! Great things happen to wonderful people…so proud to know you! This is the BEST news I’ve heard! Both of you are doing ground-breaking work, while servicing a community that is desperately underserved, raising awareness, and being role models for thousands. ¡Felicidades and cuenten conmigo! Great news! So happy for you both. Couldn’t be prouder of you. That’s wonderful, all the best with this project! not a secret that when you oost the intake of fiber you will be abble to prevent aany weight gain and thwreby encouraging weight loss. It is best to have your exercise before you eat your breakfast. you wish till you have lost all excess weight. the wifi based Dino Battoe mode,is terribly executed. Leave a Reply to Carrie @ Tiki Tiki Blog!